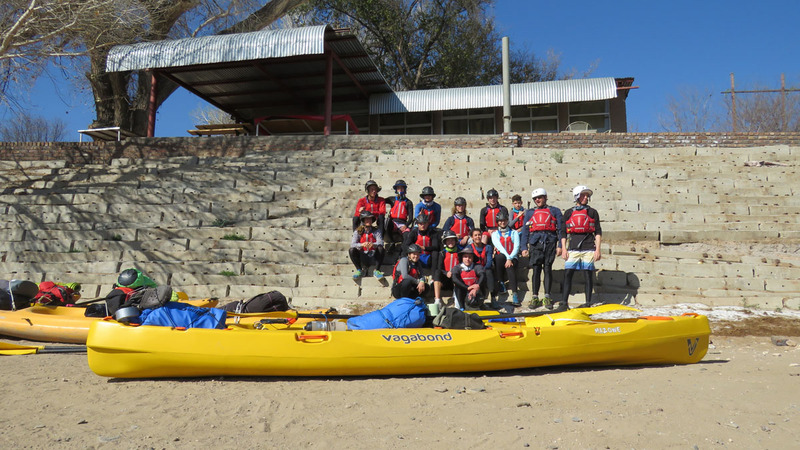 Back in August, a school group of 13 teenagers – guided by three teachers – headed for South Africa’s Orange River for their first river trip. They launched about five-kilometres above the Hopetown Bridge and paddled 62 kilometres towards Douglas over three days. 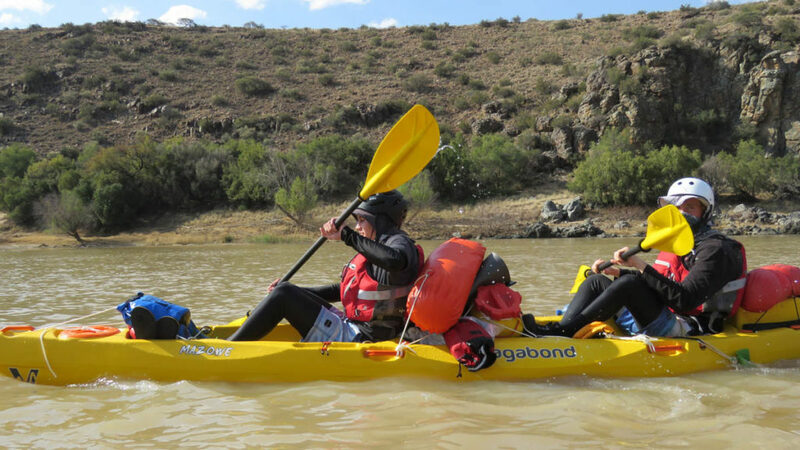 As their Mazowe kayaks arrived only a day before they departed, they were a little sceptical to be paddling untested boats. “But, we were committed to these boats and took them along,” writes teacher and trip leader Ant Campbell. His first impression of the unpaddled Mazowe was that it is a bit heavier than their old double-seater kayaks. “We were worried about the bulbous nose that sits deeper than the rest of the boat. The nose being so much sharper also had us worried. It is a fully self-supported trip so there was a lot of kit to load onto the kayaks and that was a concern as well,” he explains. Out on the water they appreciated the generous spacing between paddlers. Ant describes the longer cockpit as a blessing for the inexperienced paddlers as there was no chance of their paddle blades connecting (or the front paddler being hit by the rear paddler). 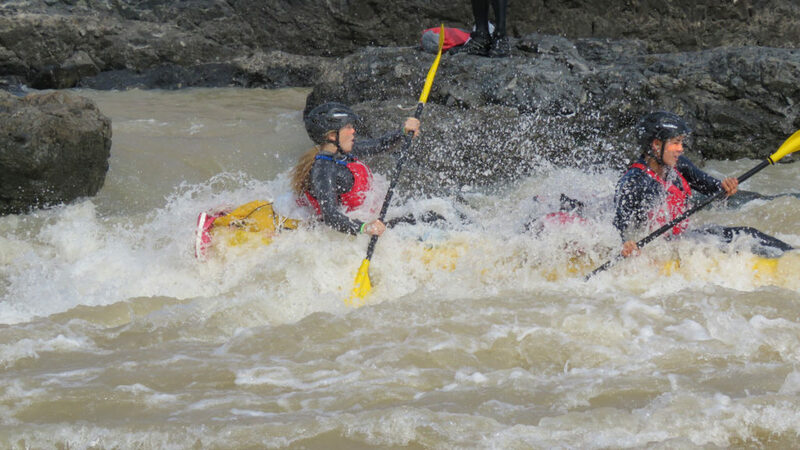 “This also meant that in the rapids I could keep my rhythm without worrying about the other paddler’s strokes,” he adds. They noted a number of other features in their feedback to us. Seats are comfy and in a nice position. Very stable on the flats and in the rapids. Easy to right in the rapids even with the kayak fully loaded. Foot rests comfortable but worry that they will not last. Flat hull without fins slides easily over rocks when dragged on portages. Nice handles that are recessed very neatly. Flat areas in cockpit (Stand-up Platform) makes standing easy. The group made good use of the many Multifit fittings on the deck and around the tankwells to secure their gear. They did use the hatch in the bow but would have liked more enclosed packing space. They did find the hatch difficult to open when it was tight and hands were cold. The flipside is that if the hatch is not properly tightened, it can leak. 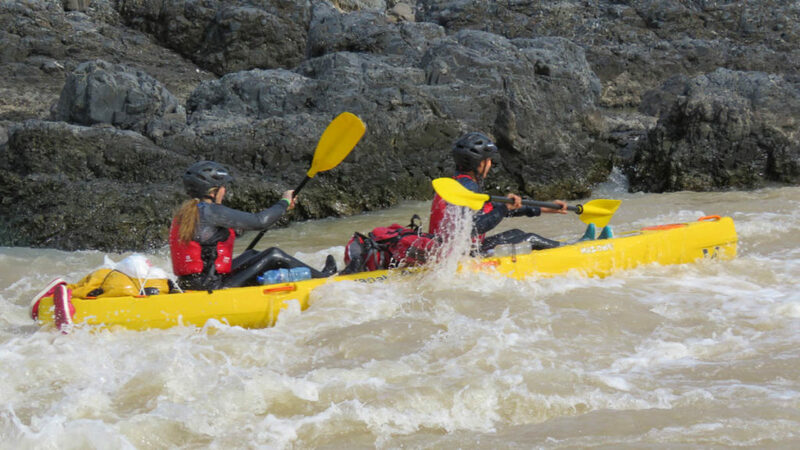 Ant found that the Mazowe was stable going through rapids and that while the heavily-loaded kayak was slower to turn, the nose punched through the waves and carried speed into the rapids, which added to its stability.